She was sitting on the beach because she is spending a few days with my brother and his family. My sisters and I take turns driving her to Virginia. I sat on that same beach in 2012. What a memory for that little girl. She has traveled across the country with four generations. I cannot imagine the stories that were shared. My sister spent yesterday doing a familiar Iowa tradition as she helped my brother can green beans for the first time. It reminded me of going to Grandma’s and helping her can. After the phone call, my sister posted a video on my personal timeline; and I decided I want to take my granddaughter, and her family, the next time it is our turn to drive. I want to watch her frolic in the ocean! But I am not going to wait until then to make memories with her. I want to take her, my mom, and my son on a “farm crawl.” I want to drive by the farms that were at one time occupied by me, mom, both sets of grandparents and great-grandparents. I want Mom to tell her the stories she told me when I was the child on the car ride. Our favorite family vacation was not the most expensive one or the week we spent at a cabin in Minnesota. It was the one when we visited two family friends in two cities in Missouri. Remember, it’s who you take and who is there at the end of the road. 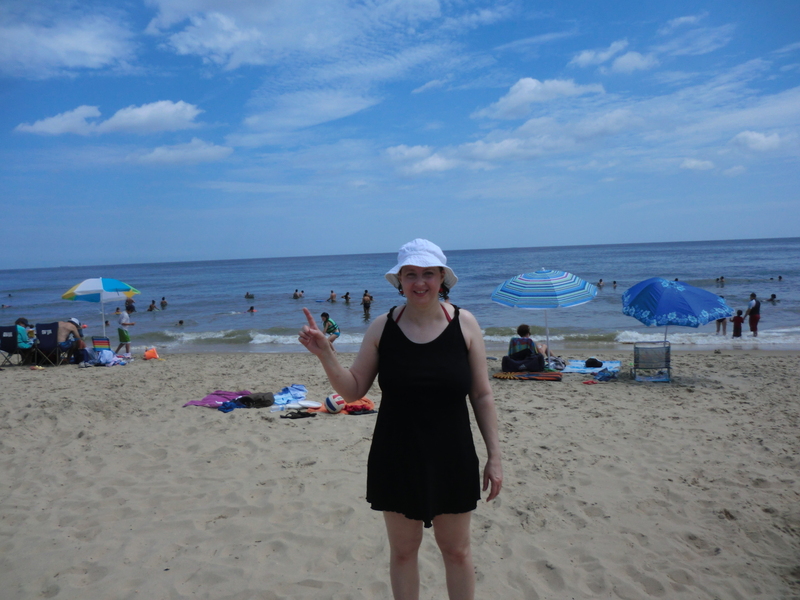 Virginia Beach in 2012. Seeing the ocean was the number one item on my bucket list.